A haunting tale of war, love and loss from the author of Birdsong and A Week in December. The Sunday Times bestseller. On a small island off the south coast of France, Robert Hendricks – an English doctor who has seen the best and the worst the twentieth century had to offer – is forced to confront the events that made up his life. His host is Alexander Pereira, a man who seems to know more about his guest than Hendricks himself does. The search for the past takes us through the war in Italy in 1944, a passionate love that seems to hold out hope, the great days of idealistic work in the 1960s and finally – unforgettably – back into the trenches of the Western Front. This moving novel casts a long, baleful light over the century we have left behind but may never fully understand. 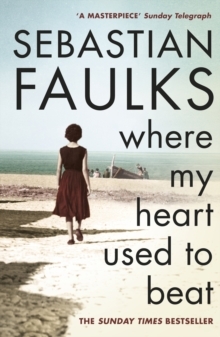 Daring, ambitious and in the end profoundly moving, this is Faulks’ most remarkable book yet.